Sean Donlon addressing the lunch. The press in Ireland is threatened today as never before, the chair of the Press Council, Seán Donlon, has said. 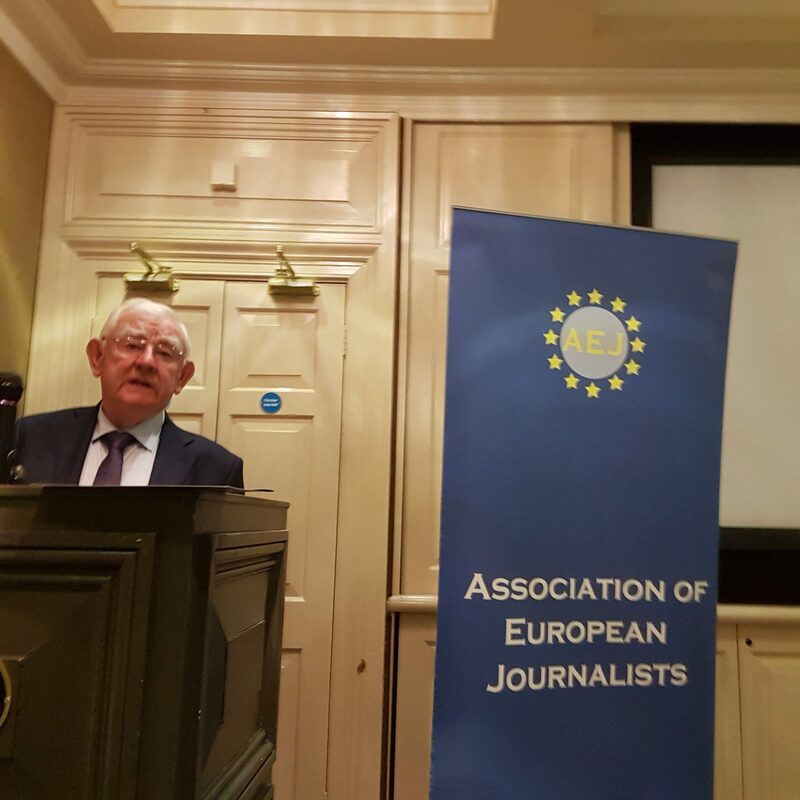 Addressing a meeting of the Association of European Journalists in Dublin, Mr Donlon said there were two main threats: the first was posed by tech companies such as Facebook, Google, Twitter and You Tube, while the other was caused by what he called our “curious” defamation laws. More than 50% of Irish people now received their news via social media, Mr Donlon said. But social media companies were not subject to any regulation. They were hoovering up the advertising revenue on which traditional media had previously depended and were not employing trained journalists or editors, relying instead on other professional news gatherers and on secretive algorithms. He suggested the Government should look at recent legislation in Germany whereby social networks can now be heavily fined for not quickly taking down hate speech. Big tech companies liked to give the impression they were run by altruistic Californian hippies in jeans, said Mr Donlon. But they were in fact rapacious capitalists. There was an enormous attack going on, not just on traditional media but on the very foundations of democracy, by these companies. “We all accept their advantages, but we should not overlook what exactly some of them are determined to do or are doing in the course of making enormous amounts of money,” he said. 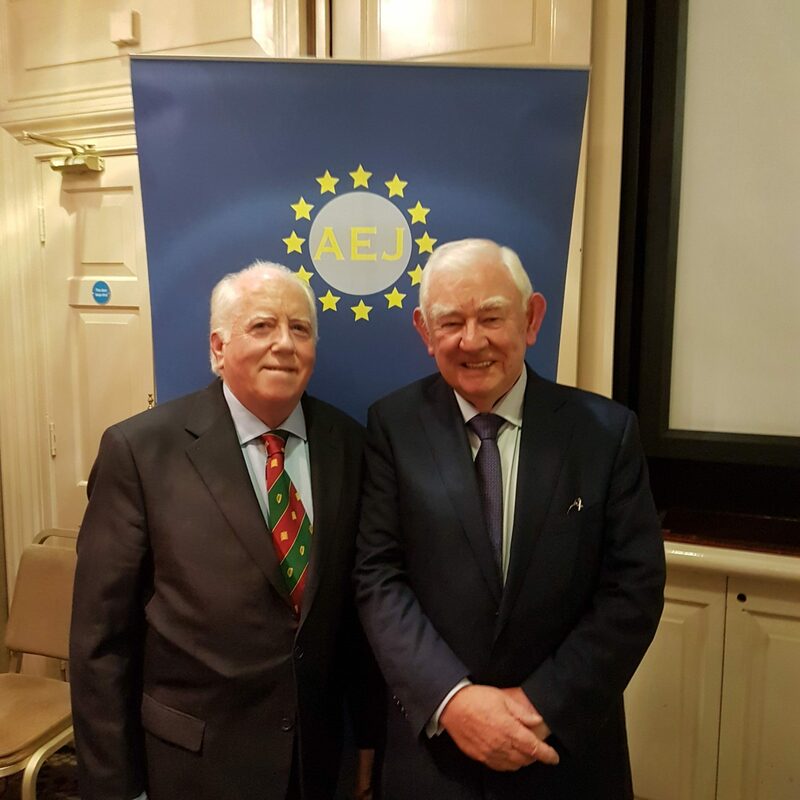 Mr Donlon said the second threat came from our own legal system and the application of defamation legislation in Ireland. He referred to recent criticisms by both Chief Justice Frank Clarke and high-profile defamation lawyer Paul Tweed of the prohibitive costs borne by the press in defamation cases, and called on the Department of Justice to expedite its current review of the 2009 Defamation Act. The Press Council’s submission on the review recommends a number of measures to bring defamation costs into line with those in other countries.